On the outskirts of Joburg’s pulsating metropolis you’ll find a treasure beyond compare – a visual and sensory indulgence of a forgotten era; an escape of French-Provençal appeal. 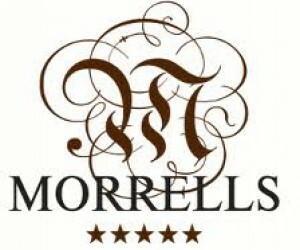 Morrells Boutique Estate, described as “unforgettably magical”, has opened its doors and extended an invitation to discerning diners who wish to share memorable experiences in the venue’s recently-launched bistro. Tyrone Geduld, the newly-appointed chef, comes from a family of artists and compares a dinner plate with a canvas on which he delights in making magic happen. South African born, Geduld has travelled extensively and has woven the best of every international eating experience into his tapestry of culinary know-how. French visitors who have eaten in Michelin-star restaurants have complimented Geduld on his rustic, French-country cuisine which, with his personal twist, has a touch of sophistication. His favourite dish is crème brulee. “If you can master this dessert you have achieved a certain status,” he says with a smile. 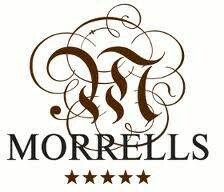 Morrells Boutique Estate offers luxury accommodation; conferencing, wedding and special-event venues as well as spa treatments. Three years ago Morrells Boutique Estate, in Northcliff, Johannesburg, was a derelict farmhouse. Today this property of understated elegance boasts artefacts from France, Hungary and Cape Town. With a touch of Bernice Morrell’s unique style, the property has managed to recreate and share her life’s journey.